I believe that the self care movements forgets these because they aren’t really that glamorous. After all, who wants to admit that they skip showering when they’re going through a depressive episode? Or who wants to talk about their bad habit of irregular eating and skipping meals? Or who wants to face up to the fact that debt is stunting their growth? But sometimes the hardest lessons are the ones that teach us the most. The Self Care Manifesto is a diary that helps you create small lifestyle habits that make big changes. You make the rules. This book isn’t about someone else giving you the answers, it’s about you taking back control and empowering yourself through self care. It’s about those small steps that begin to snowball and make a change for the better. That’s how change works, isn’t it? When it comes to personal affairs we can’t just click our fingers and magic a new reality. We’ve got to make subtle lifestyle changes that start small, then suddenly (when we’re not looking) change everything. Once you’ve got these basic needs covered, then you can begin to flourish. You’ve got to get the groundwork done first though. That’s what the Self Care Manifesto is for. 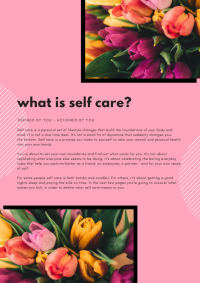 I’m eternally grateful for everyone who has already spread the word about the Self Care Manifesto. 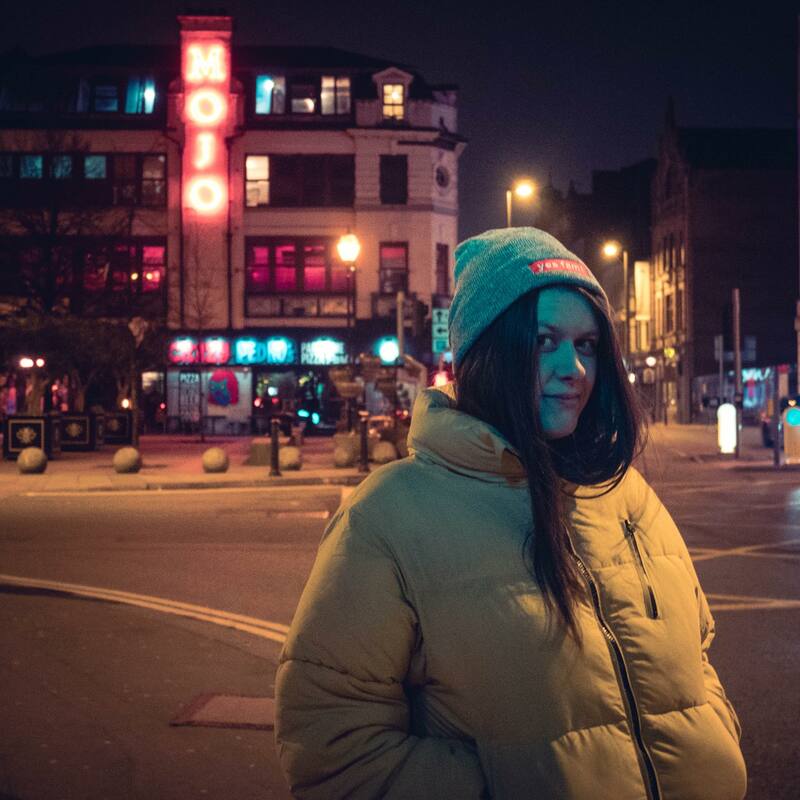 I am completely overwhelmed by you all backing me on this one. I think perhaps it’s because self care is something we all need to work on. It’s been comforting knowing just how many people recognise the importance of self care. If you’ve ever felt alone on your journey, please know that you certainly aren’t. 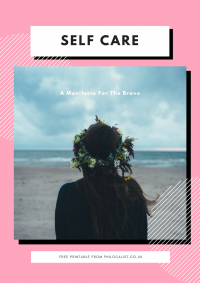 Click here to sign up for my self care newsletter and grab a free copy of the Self Care Manifesto. Previous Post Are you blocking your own blessing? Awww congratulations! This sounds like a fantastic idea. I have had lots of episodes over the last few years where I’ve suffered from stress physically yet mentally I’ve not understood why. I’m now so conscious to look after all aspects of my health to make sure I don’t get ill again. Self care is SO important! Wow! This sounds in-cre-di-ble! Such a big accomplishment to put this together, and so incredibly useful too. 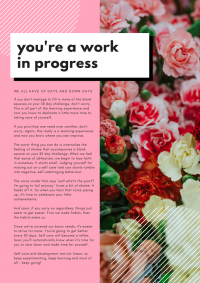 I agree that we need to start with small changes, and this is such a helpful way to know where to start. Thank you so much! Thank you so much Michelle! I really hope it helps you to create some new positive habits. It all definitely starts with small changes. Ha, wouldn’t we all love to go on an adventure like that!? I guess that’s why I’ve focused on the small things for this. Small practical self care tasks make a hugeg difference over time. I really hope the book is useful for you. A self care manifesto?! We all need one of these. Suffering with depression, anxiety and stress has taught me how important it is to look after yourself before looking after others. I still make bad choices though. Same here Kellee! Your journey isn’t linear though to there will be ups and downs. Just take it as it comes :)! What an awesome thing to have put together, I think everyone needs to make sure they work on their self care and your manifesto sounds like a great help! We all need to work on our self care so this would be great. I know there are a few changes I need to try for starters. I have been making small changes to my lifestyle to incorporate self care. many people underestimate how important it is so what a great resource! What a great thing to put together! I’m always trying to fit in some time for self care, I think it’s really important and I finally think I’m finding the balance. Congratulations on your Self Care Manifesto! It’s all too easy to forget about self care when our lives are so busy trying to maintain a good home/work life balance!